Complete line of Multifaster patented systems available for connection of hydraulic couplings and electrical lines. 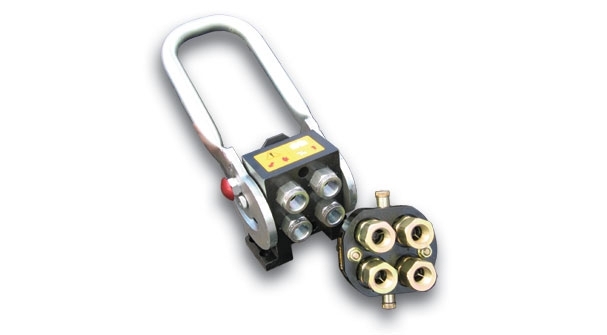 Quickly connects, disconnects, and latches with a one-hand operated lever. Flat face couplings open & close fluid flow. Two through six ports available.